Engage.Social Smart Share is the next generation solution for social sharing. We help publishers and content producers attract new visitors, build audience engagement, and drive their Social K-factor. The Social K-factor is a measure of how content shared by qualified website visitors onto social media can generate viral growth. Accordingly, we help publishers connect and engage with their audiences. With Responsys we pioneered email marketing. With Engage.Social, our team is focused on how publishers can leverage the growing trend of content being distributed through social and consumed on mobile. Steve is a sales executive with many years of start-up & go to market experience in the publisher vertical. He brings a deep…. 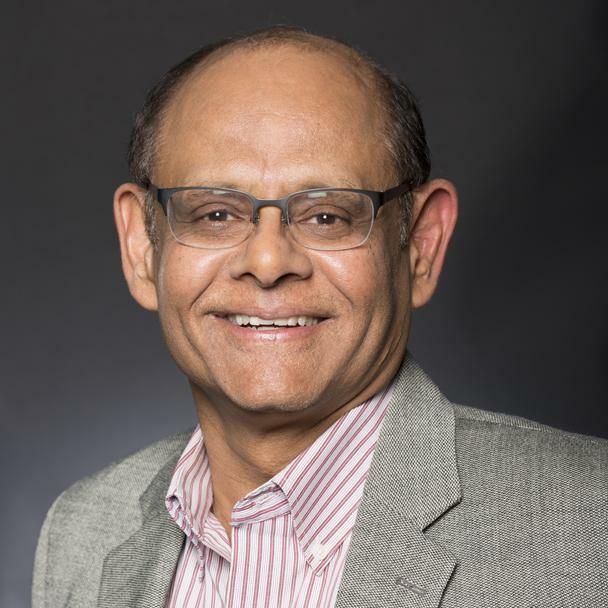 Managing finances, Shum Mukherjee has been CFO for numerous emerging technology firms, including Droisys, Immersion, OpenTV, Genus, and E*Trade International. He holds a Masters in Management from MIT Sloan School of Management, a Masters in Mathematics from IIT Kanpur and a Bachelor of Science in Mathematics from St. Xavier’s College. Anubhav is a respected leader in the global sourcing industry. He is currently President of ISG Global Managed Services. Before joining ISG, Anubhav held a series of senior executive positions with HCL Technologies and was the founding member of HCLT’s IT Infrastructure and ITO business. He led HCLT’s 7x growth in 7 years. As a founding member of the G2000 IT Client Executive Councils, Anubhav has been a presenter at the World Economic Forum and a recipient of a number of CXO awards. Leads private equity investments and value-oriented buying with systematized professional business building. Previously with Dynasty, Uniface, Ingres, UCC. Steve is a sales executive with many years of start-up & go to market experience in the publisher vertical. He brings a deep level of understanding in social selling principles and techniques. As a highly motivated young professional born and raised in the Silicon Valley, Niyanth spearheads the internal content marketing strategy, leads client engagements, and evaluates partnership opportunities both domestically and internationally. Prior to this latest endeavor, Niyanth worked as a Senior Associate in Business Valuation for Deloitte in New York City. Anupama has global experience in engineering spanning across user facing interfaces at eBay, Oracle and server software at Yahoo! She has also served as product manager for a VC funded start-up and has coordinated with sales, policy, marketing, and PR functions to successfully launch products. A senior sales and marketing executive with experience in both legacy and early stage media and marketing organisations, Newell’s relationships, business experience, and entrepreneurship are invaluable for companies looking to scale. Currently, Newell is SVP Sales and Marketing at Fabl. Previously, Newell has held leadership positions at Time Inc., Gannett, Conde Nast, National Geographic, & Moontoast. He is recognized as a thought leader, speaker, and advisor with regards to native and branded content.